We’re two weeks into 2015 and the usual platitudes are being passed around with abandon: we’ve all got the January Blues, we’re all broke, we’ve all put on pounds over the Christmas break, and we’re all going to fail our new year’s resolutions. 2015 is the year of setting realistic cycling goals, then absolutely smashing them! The 1st of January can be a great Square 1 for setting yourself new and lofty goals for the coming year, but using an arbitrary date as a starting point for all of these life-changing decisions rather than a genuine desire to make the changes is setting yourself up for failure. Accept from the start that it is your responsibility to ensure you succeed. A Ride25 is a perfect long term goal to aim for. 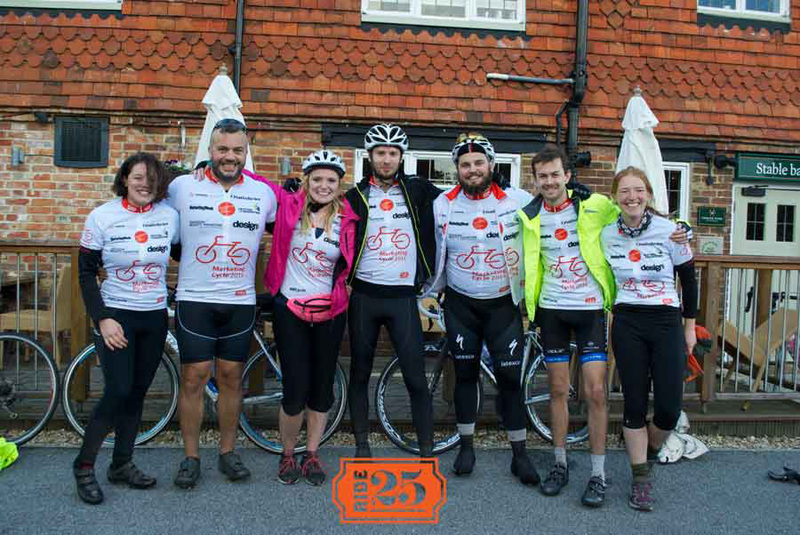 Our rides are tough but achievable, and they take place later in the year giving you plenty of time to get training! If you’re easily achieving all of your goals, that means you can probably push yourself harder – there’s no point setting goals to cycle 10 miles if you can comfortably hit 80. You want to be pushing yourself all the time, ideally to a position that makes your long term goal seem easy! When I was training a group to ride from Leeds to Berlin via the Netherlands (very flat!) I had them going up and down Otley Chevin (very hilly!). This showed the riders that they had more than what was needed to achieve their end goal: their resulting confidence boost was huge. 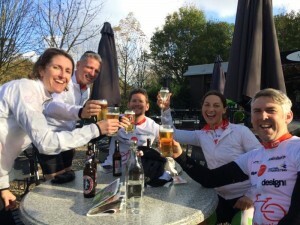 ‘Complete a century’ puts anyone off – break it down! The psychological theory of Flow suggests that you are more likely to achieve a goal (and enjoy achieving it) if you have incremental goals along the way. These mini-goals also have the combined benefit of letting you evaluate whether your training program is working by gauging the difficulty and results along the way. Join us at the Ride25 Pioneers Strava Group if you want to compare and compete with other people training for the same thing as you! This can come across as a bit new-agey, but phrase your goals in a positive manner. Saying “I will finish my 30 mile ride in 2 hours” rather than “Don’t take longer than 2 hours to ride 30 miles” gives the goal a different nuance that can can change the way you perceive it. Writing down your goals makes them real – and not a dream. Use a pen and paper, a blog, a twitter account, or whatever works best for you. The public accountability of putting your goals online can be a great motivational factor, and it forces you to qualify your goal in clear terms. Originally we phrased this as “don’t do it alone”, but we reworded it to reflect the previous point: let positive language fill your training program. Involving friends in your goals can make make them more achievable and ultimately more enjoyable. You never know, you might make some new friends along the way too! Again, please join us in the Strava Group (see point 5)! Achieving goals is rewarding in itself, but a few bonus treats on the way can be motivational too. If you hit your mileage target for the week? Have an extra glass of wine with dinner. Managed to do the Tour de Yorkshire route in one day? Maybe it’s time to buy that new bike you’ve been looking at. However you decide to structure your rewards system make sure it’s something that motivates you, and something that will keep you going. We think that with that list and a desire to succeed, you’ll destroy whatever targets you set yourself this year. If you need further training inspiration, you can follow my training diary for June’s ride in this blog (watch this space!). These posts are me being publicly accountable in my goal to achieve the fitness level required to ride from Geneva to Milan this year, and to successfully climb the Nufenen Pass. There will be information on planning rides, keeping the training fun and interesting, and anything else helpful that I come across. A thought to finish: look at this trend graph for Google searches of the term ‘gym membership’. Every year there’s a spike in January and a trail off in February. This year we challenge you to escape from the failed new year’s resolution cycle.